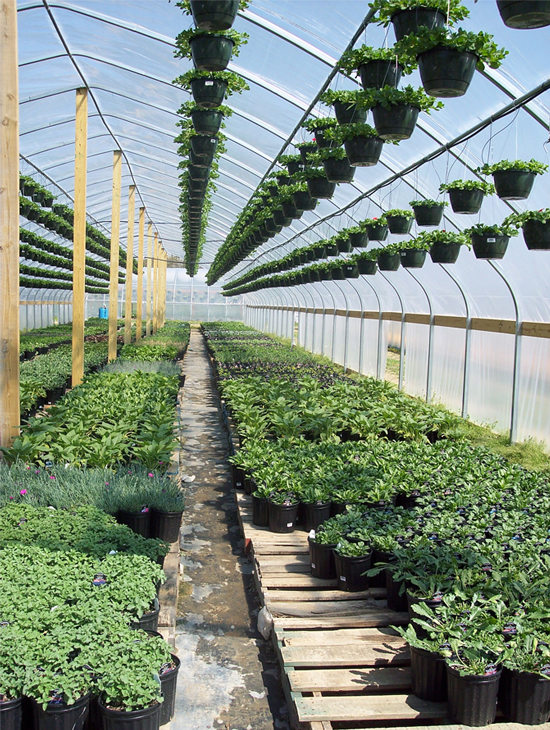 Springtime at HB Farms is very exciting! 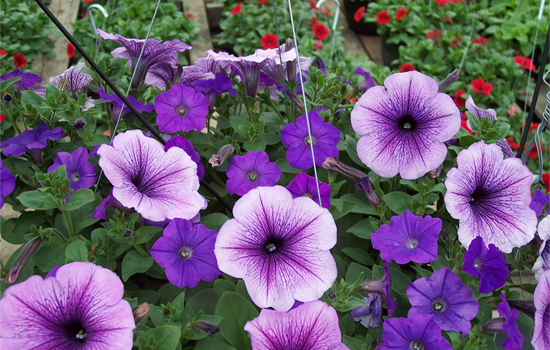 We have a large selection of Petunias and Perennials. 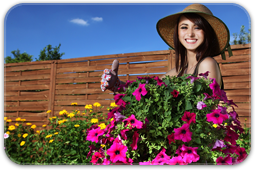 We have something for everyone. 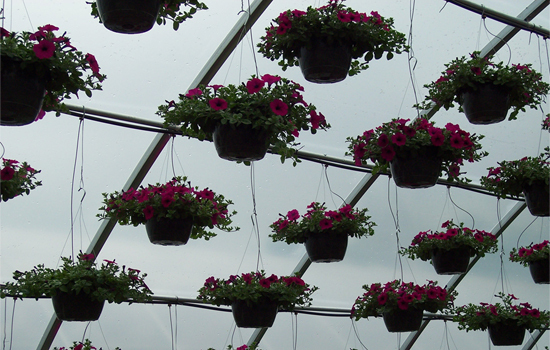 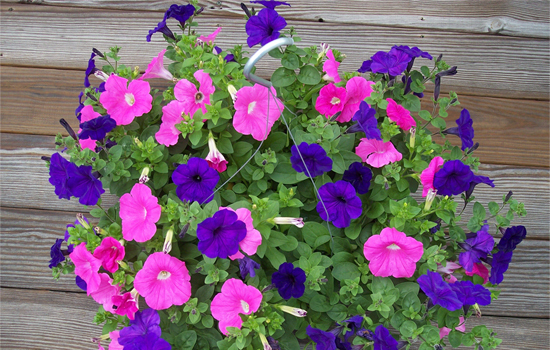 Petunias are offered in an 11" hanging basket and 12" patio pot. 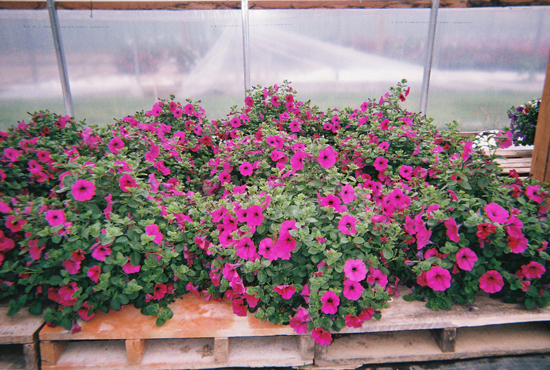 HB Farms Petunias are available in multiple colors. 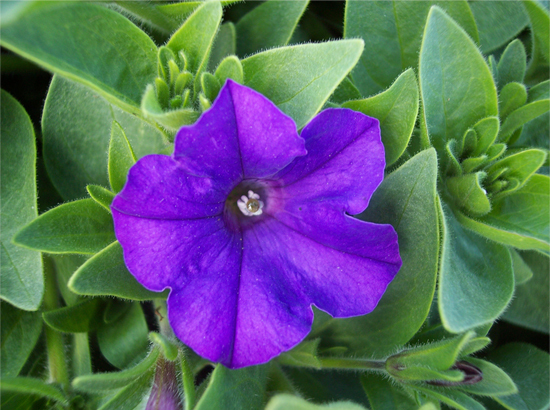 Offerings include as many as eighteen different colors and color combinations. 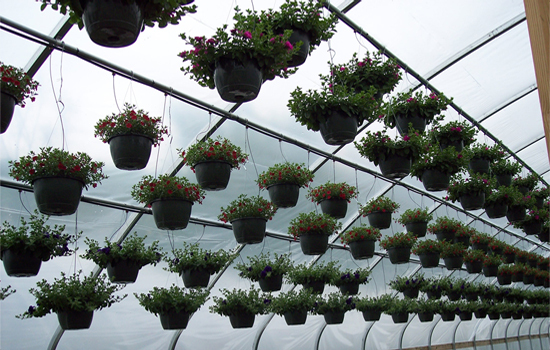 With almost 20,000 baskets and pots to choose from, we have the selection you need! 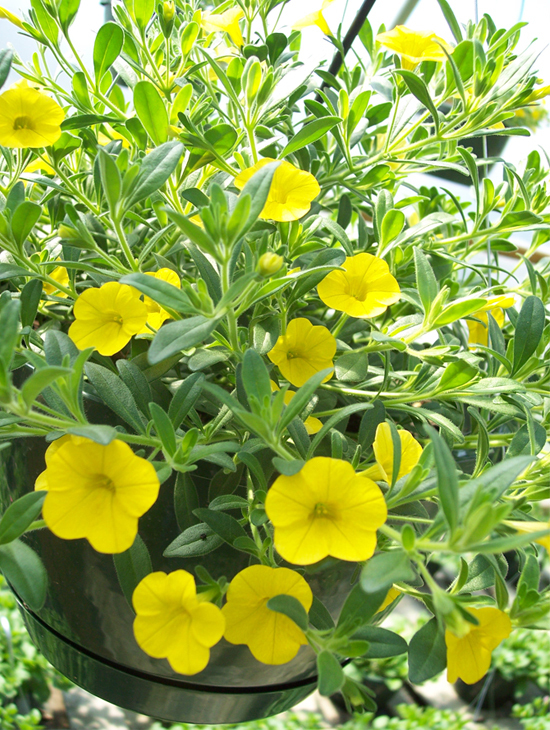 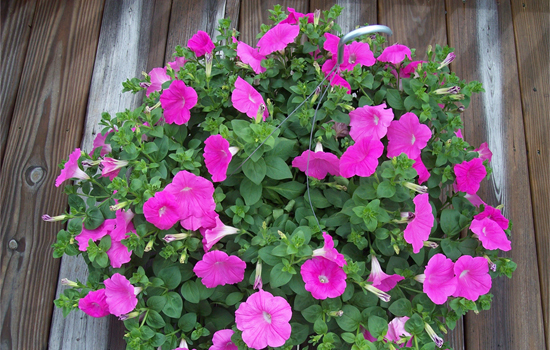 Our Petunias are a beautiful sight hanging or sitting on your porch with a multitude of blooms cascading over the pot. 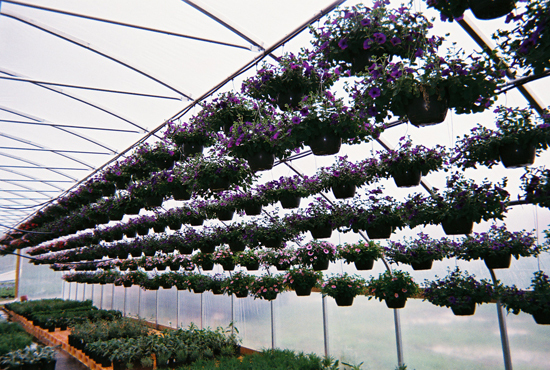 Here at HB Farms, we employ a unique growing method for our Petunias. 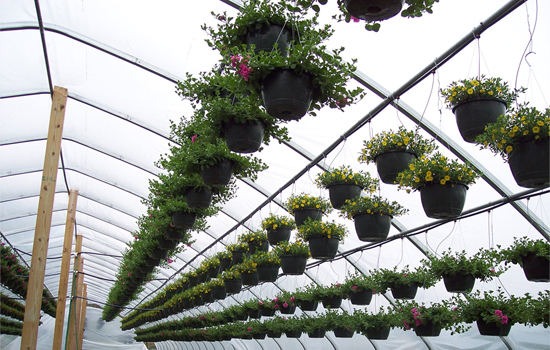 They are started in late January through mid February in greenhouses with no heat. 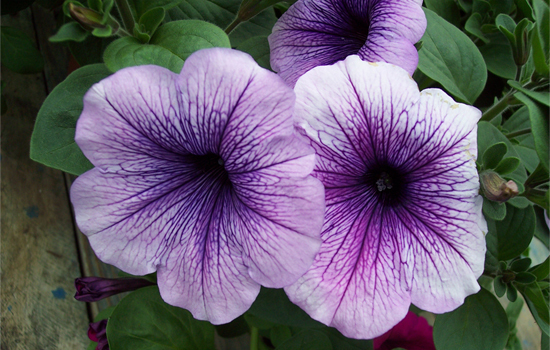 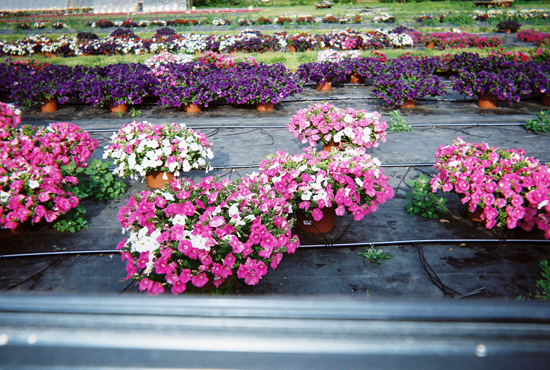 The petunias are allowed to freeze at a very young age. 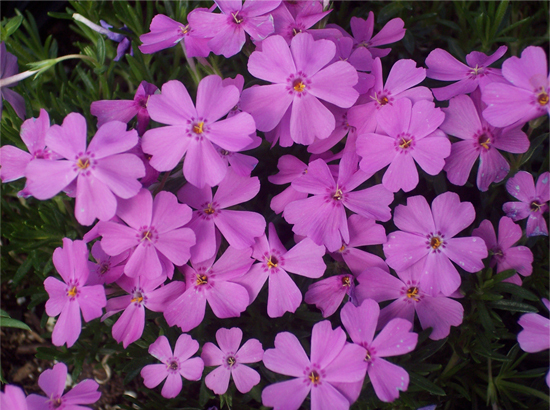 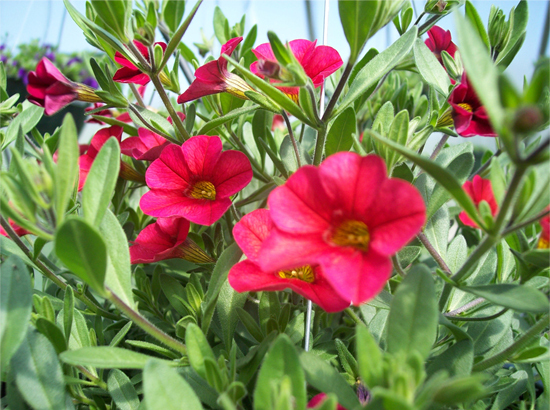 This results in a stronger, more vigorous, frost tolerant plant that often has a higher bloom count. 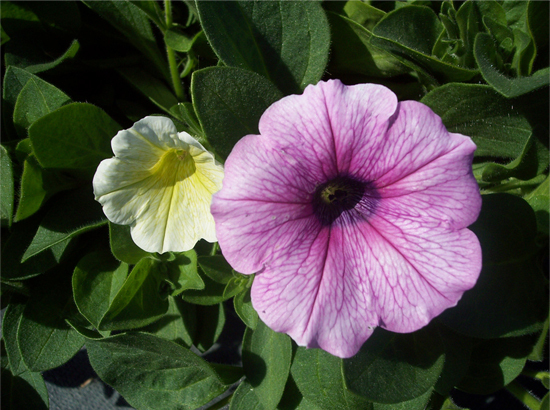 Cold grown Petunias are often much richer in color than those grown in a warmer environment. 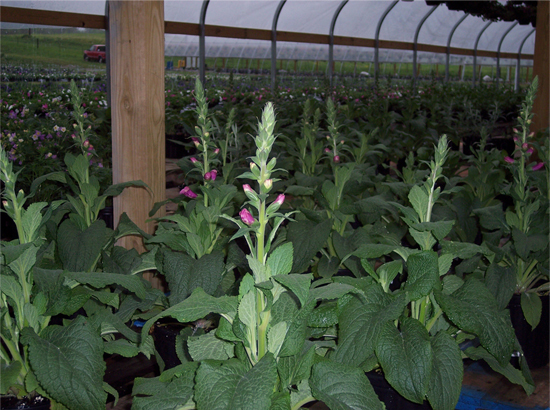 HB Farms Perennials are all grown in one gallon containers. 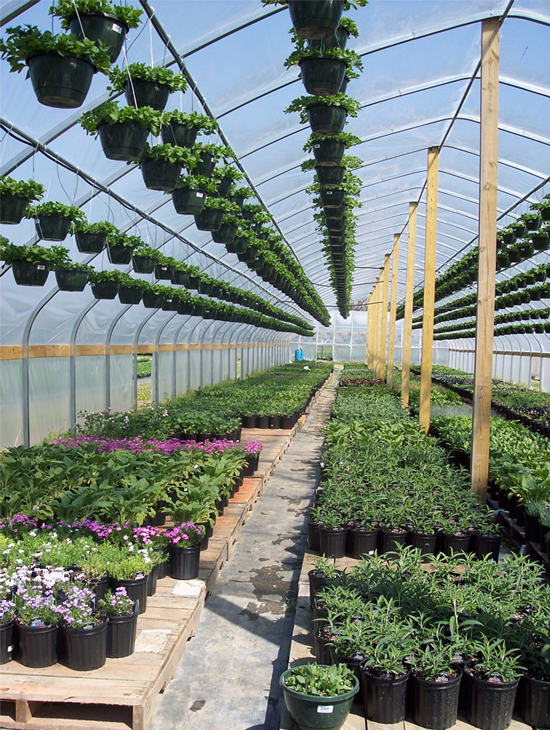 We have 80+ varieties from which to choose. 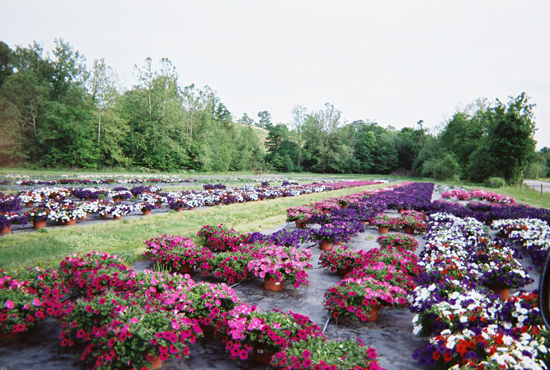 Varieties available range from some of your old time favorites to some of the newer offerings. 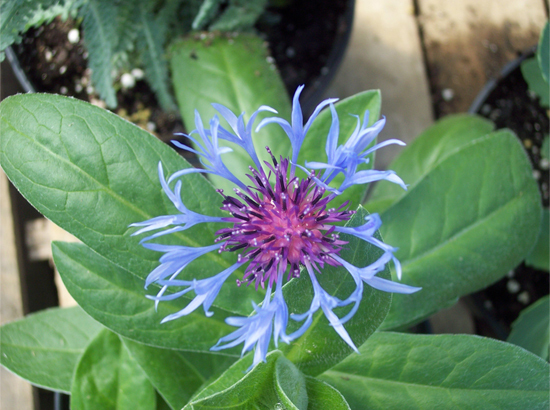 Please contact us for a complete listing of current perennials available. 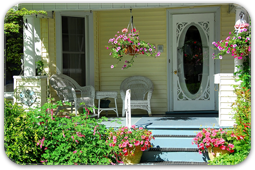 Hanging petunia baskets and containers give a nostalgic charm to any front porch creating a relaxing spot for morning coffee or a visit with neighbors. 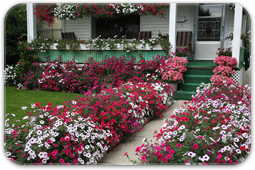 Mixing annuals with perennials gives your garden variety and brilliant blooming color that lasts all summer long. 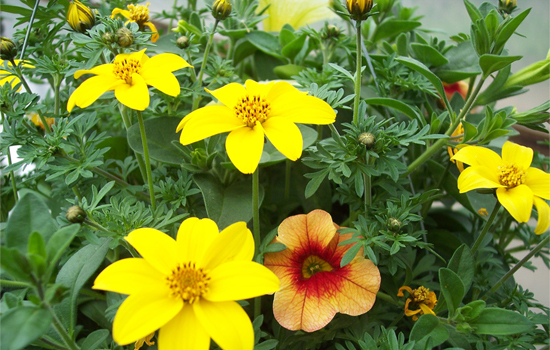 Borders, boxes and containers of mixed color give a friendly welcome to family and friends.